Tomorrow is Fat Tuesday and we leave for New Orleans 2 weeks from Thursday! I have been so busy with work that I haven't been able to focus on our trip. We finally sat down this weekend and finalized on what we will do during our 4 days in the Big Easy. My husband Gabe and I will be running the Rock n Roll New Orleans Half Marathon and we will be driving up with his parents. We live in Tampa - this means 9 hours in the car! We do a lot of road trips and I wanted to share some tips and tricks with you on how we make 9 hours go by fast and stress-free. 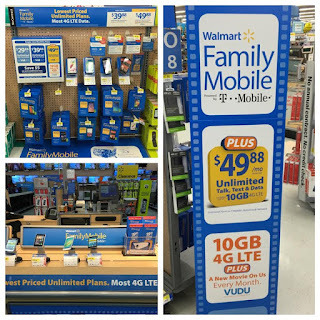 We will have my new Samsung Galaxy Grand Prime (**currently $99.00 on Rollback from $149.00) as our main source of navigation and entertainment.Walmart recently launched the Family Mobile PLUS plan featuring Unlimited Talk, Text, & Data which includes up to 10GB of 4G LTE data for $49.88. PLUS you get a free movie on VUDU ($7 value) every month per line - which we will watch on our tablet since it has a bigger screen. There have been too many times where we stop at a gas station, pick up junk food that we don't even like and waste a fortune on it. That won't happen this time as I bought a super cute chevron bin from Walmart which fits in the middle section of our backseat. We will buy all of our snacks in advance, saving us time and money. Having a snack bin will help keep us organized and clutter free. Plus if you slam on breaks, your items will stay in place. Here's a space saving tip - freeze half of the bottles of water so they act as an ice pack without taking up more room. Empty Grocery Bags for trash that you can easily throw out at a rest stop or gas station. During a 9 hour road trip, you need to pre-plan your car entertainment. I have made the mistake a few times by not doing this. Agree on 2 audio books or Podcasts and be sure to download them ahead of time so they're ready to go. 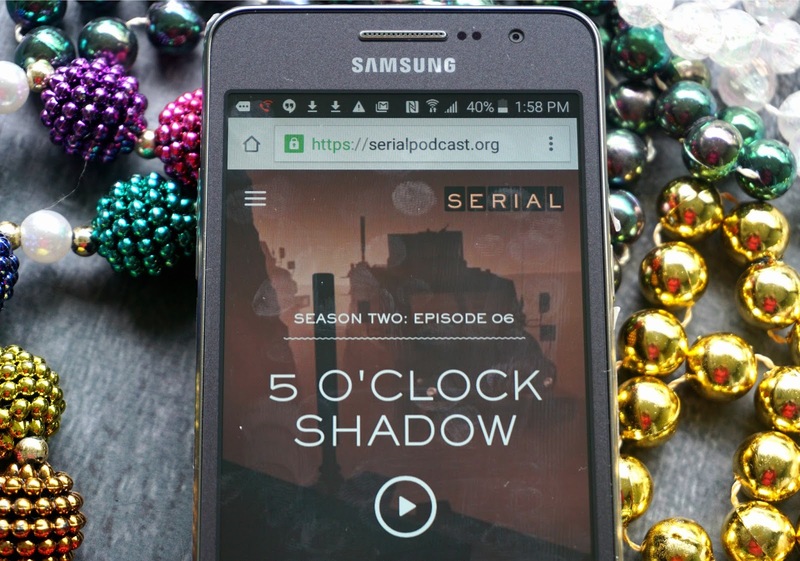 In December, we agreed on holding off on Serial 2 so we could listen to it on the way up. Along with Serial, we will download a book from Audible. This will be the one item four adults have to agree on - should be a fun discussion :) There are also many road trip games you can play as a group such as Trival Pursuit. This will make the time go by faster if you need a break from the audio books. I have used every navigation app known to man kind. I like things about each of them and dislike things about each of them. However, my go-to app while on the road is Waze. It allows you to reroute traffic jams, get current gas prices, see accidents and even police sightings. I have no idea where I would be without the app TripIt. I use it both professionally and personally. If you travel a lot, this free app will allow you to keep all your travel items secured in one place. You can also share it with others on your trip. We prefer TripAdvisor for locating restaurants and bars. It seems to be more authentic than many of the other sites out there. One thing TripAdvisor doesn't offer is the ability to search for restaurants as seen on TV. We are big foodies and I am obsessed with Food Network and any show to do with cooking. I recently downloaded the TV Food Maps app on my phone and I am in heaven! We will have no problem at all finding a restaurant seen on TV in New Orleans. However, this year, we are breaking up the trip in Pensacola. So I typed in Pensacola and found a restaurant that was on Best Thing I Ever Ate. Looks like this will be our dinner stop night one! Here is a list of the apps I use on a frequent basis for travel and luckily with Walmart's Family Mobile PLUS plan, we won't stress out about data! 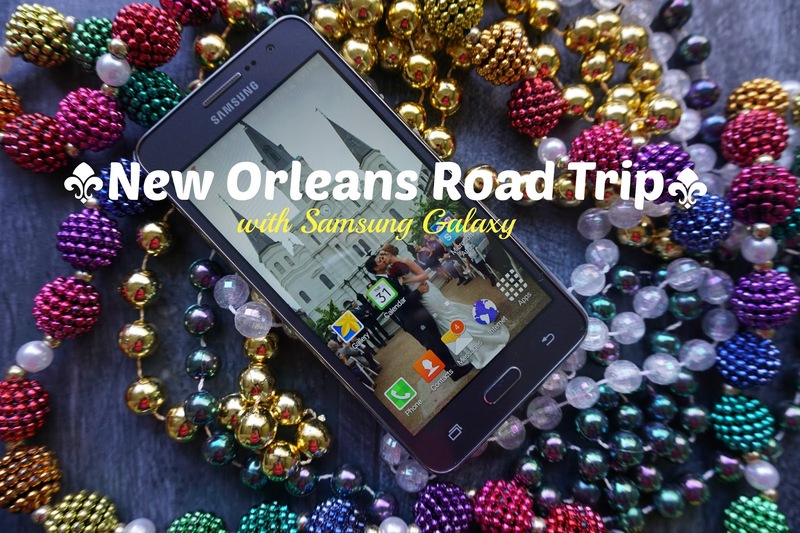 What apps do you use when you travel and how often do you go on road trips? I purchased my Samsung Galaxy GRANDprime at Walmart in Tampa on Roll Back for $99 (originally $149). The Family Mobile PLUS plan features Unlimited Talk, Text, & Data which includes up to 10GB of 4G LTE data for $49.88. PLUS you get a free movie on VUDU ($7 value) every month per line. You will also need to purchase a $25 starter kit if you are not already a Walmart Family Mobile member. All you need to set up your account is a Drivers Licence, no credit check! **Disclaimer: All prices for phones and plans included in this post are accurate as of the date of posting; however, these prices are subject to change. Please refer to http://cbi.as/28aqc or your local Walmart for current pricing.